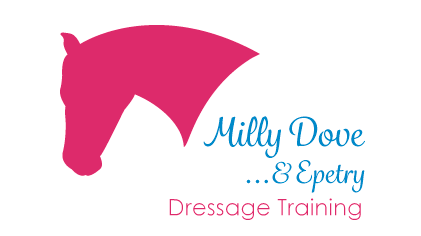 Follow my blog about training my horses; Tinker and Epetry (Ella), as we progress from Prelim to Novice competition, with support from my wonderful sponsors; Harry Hall and Dressage Training TV. Images available for purchase, taken at competitions. I'm very fortunate to have some wonderful sponsors; Dressage Training TV and Harry Hall they provide me with lovely clothing, saddle cloths and a platform to share what the horses and I learn through training with Mary Wanless BHSI BSc and my Dad; Peter Dove, author of Master Dressage.